Every year, more than 20 million people embark on a memorable journey aboard one of the world’s luxury cruise ships. If it is a kid-friendly cruise you’re after, not much competes with the magical experiences offered by the Disney Cruise Line. Offering unmatched entertainment for both young and old, including kids clubs, live performances, and character interactions reminiscent of those at Disney World, it’s not hard to see why DCL is one of the most popular cruise lines in the world. 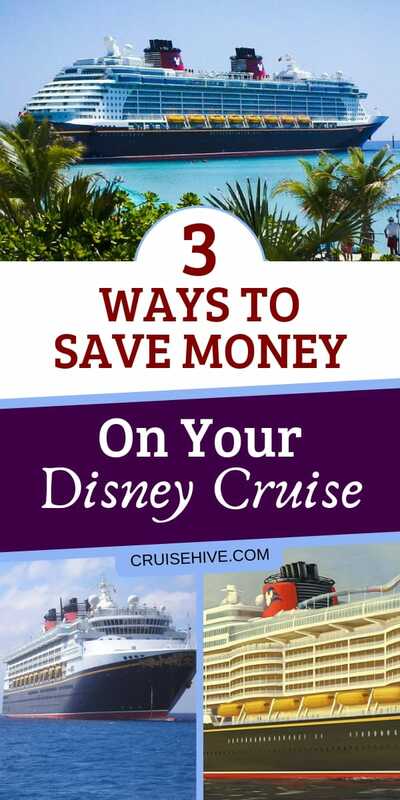 Understandably, Disney Cruise Lines is also one of the more expensive cruise lines, but thankfully there are a number of ways you can save some money while planning your dream vacation. By making use of a travel agent, you can end up with a much better package than if you were to book your Disney Cruise yourself. Travel agencies – and Authorized Disney Vacation Planners in particular – are not only able to offer you the best rates available, but may also include additional discounts and exciting freebies in your package that will end up saving you even more money. These added perks can include anything from stateroom credits and photo packages to Disney gift vouchers and food coupons. If you’re a Costco member, you also have the added option of booking your cruise through them and getting a Costco gift card instead of the incentives offered by other travel agencies. Having access to a credit card or personal loan can provide a great financial boost to anyone wanting to go on a Disney Cruise without having to count every penny. It does, however, come highly recommended to save as much as possible in advance for your cruise and only make use of additional finance options if they’re really required. If you do choose to take out a loan or apply for a credit card, conduct some research prior to signing any documents and give preference to the financial service providers that can offer you low-interest rates as well as a personalized, attentive service. The earlier you book your cruise, the better the price will be. Disney Cruise Line, like most other cruise lines, makes use of a tiered pricing system that results in cabin prices increasing as the ship fills up. Disney Cruise Line typically publicize their itineraries for only a couple of months at a time. Once these itineraries come out, you generally only have to wait a couple of days for the bookings to open, first exclusively to Castaway Club members, and then to the general public. On the day that the bookings open, be sure to get up early so that you can snap up the lowest available prices, and don’t forget that you can save quite significantly on your next by rebooking during your cruise. Embarking on a magical Disney cruise will, without a doubt, be one of the greatest experiences of your life. With careful planning and by taking heed of the money-saving guidelines outlined above, you will be able to cruise the high seas without breaking the bank.